When you begin blogging, losing an hour of sleep to perfect a post or skipping lunch to spend time commenting is a pleasure. Post ideas come thick and fast. And more published posts mean pageviews and readers, so publishing more is better, right? Sure… until it’s not. Until work starts piling up. Or you get sick. Or a friend is in from out of town. Or you have to bake three dozen cupcakes for Sally’s class — by tomorrow. Sometimes, we all get trapped under a beam in the burning barn (metaphorically) and can’t get to the computer. When that happens, how do you find time to blog without turning your creative outlet into just another obligation? The barn thing was figurative. If your barn IS on fire, it’s totally fine to take a blog break. Also, please call 911. Feeling guilty about blogging never helped anyone write a compelling post. If it’s getting tough to fit your ideal blogging schedule into a newly busy life, go easy on yourself; we all have ebbs and flows. You can take a break without starting from scratch upon your return. Give your readers a heads-up, and give yourself permission to take time off before your blog becomes another stressor. Turning your blog into an obligation puts you on the fast track to killing the fun. When you started blogging, your personal goal was two long, substantive posts a week. But you didn’t realize how much fun interacting with other bloggers would be. You got infatuated with CSS tinkering. Life dropped another project in your lap. Whatever the reason, those two posts aren’t happening. And you know what? That’s fine. While it’s true that regular publishing helps establish a blog and retain a readership, “regular” can mean lots of things: daily, weekly, monthly, whatever. Trying to enforce a publishing frequency that doesn’t fit your life leads to a tumbleweed-strewn blog. Take a realistic look at the time you can devote to blogging, and use that to set your expectations. Don’t set yourself up to fail! You wouldn’t do that to kids or dogs, so don’t do it to yourself. A little structure can help make blogging more manageable. Combining a regular feature with other posts takes some of the publishing pressure off — especially if the feature is less time-intensive, like a photo post or link roundup. Plus, regularly scheduled features are great for keeping readers coming back again and again, and no blogger ever turned down repeat visitors! Even if you don’t want to run regular features, an editorial calendar allows you to take control of your publishing schedule and time — and luckily for you, we just told you all about them! Since you create the calendar, it can be as flexible as it needs to be. Take your schedule into account and plan quicker, less intense posts for busy weeks. Adding “blog time” to your calendar is a simple way to carve out space for blogging, as long as you honor that time — otherwise, re-scheduling your missed blog appointment just becomes another source of stress. Don't wait to find time - make time. RT @postaday: Calling all bloggers — what are your tricks for finding the time to blog? Tweet us tips! You don’t have to be at your computer or connected to the internet to blog. Keep a sticky note open on your computer desktop while at work or doing other things, and sock away a few sentences or post ideas when the mood strikes. Download the WordPress mobile app and draft posts while you’re on the subway or in line at the post office (or publish short posts or photos while you’re out and about). Heck, go totally analog and keep an actual sticky note on your desk to jot down ideas — anything that helps the words flow once you have an internet connection. You don’t have to pen a perfectly publishable post every time you sit down at the computer, and you shouldn’t let that fallacy — “Oh, I don’t have time to finish a post now, so I’ll just wait until later” — keep you away from the keyboard. Drafts and posts-in-progress are your friends. At a conference several years ago, popular food blogger David Lebovitz admitted that he had 40 active drafts sitting in his dashboard at any given time. You don’t have to be an overachiever like David, but drafts are a useful tool. Have an idea but no time to write? Start a draft. Have another one? Start another draft. You can either take your daily blogging time to work on them until you’re ready to publish, or use them as a head start when you have a bigger block of time for writing (plus, you’ll have a variety of topics to choose from, and can pick the one that moves you). Not this easy. 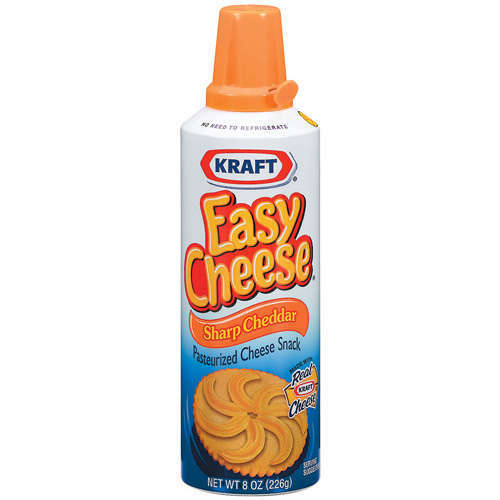 Some things are TOO easy. If you haven’t been able to post in a while and it’s getting to you, try a lower-effort piece to keep the conversation going and buy yourself some time. Link roundups, reblogs (with your own commentary), or a post highlighting another blogger you love can bridge the gap between other pieces. As long as you’re true to your voice and point of view and offer your own take, these can be just as substantive as wholly original content. Anyone who tries to use blogging as a get-rich-quick scheme will be sorely disappointed: building a good blog and attracting a community takes consistent time and effort, and there’s no magic formula where publishing every day leads to overnight success. While viral lightening does sometimes strike, blogging truly is a “slow and steady wins the race” endeavor. Use these tricks to find the balance between carving out time to create and turning your blog into a job, and set yourself up for success in the long haul. If you’ve got any tricks for making time to blog, we’d all love to hear ’em! I foolishly set myself a challenge this month of testing 30 fitness apps in 30 days – the researching, testing and then having to write them up as well has started to turn into a chore. I’m having to take breaks now and again from posting that days test and go off topic instead so I don’t spend each post whining (especially as so many go wrong). Writing whatever I do choose to post is the highlight of my day though. Thanks for letting me know I’m not alone. Oh gosh! That is definitely a challenge. I do agree, though, blogging is a highlight to a long day! Agreed, Its an outlet letting everyone know how “your” day went. I am new to this whole “blogging” but it really is something that i’ve been wanting to do for some time now. So not alone! I don’t think there’s any blogger out there who hasn’t felt, even for a brief moment, that their blog was a chore. Your comment also helped me to think of a number 9: consider a guest blogger or two to get you over a particularly busy/stressful time! What a great post for former,current and future bloggers,it truly deserves a look. LMAO!!! THIS WAS SO MUCH FUN TO READ! I encountered this issue in terms of the opposite, where i had to find time to do things to work around my blogging addiction. But I have since worked out a balance; the tips here are great. Thanks Michelle! Wonderful post. I just started blogging a few days ago and I am enjoying it very much. Right off the bat, I created a calendar for myself and took advantage of the schedule a post feature. I may not have any regulars yet, but I am happy when I see that people from different countries have visited my blog. I will continue to stick to a schedule that is comfortable for my lifestyle (Posting Monday, Wednesday, and Friday with an extra post in between if anything substantial happens) and I will make sure that I continue to write offline everyday. Welcome to the wonderful world of blogging — it sounds like you’re off to a great start! You’re always here for us with reinforcements. Thanks Daily Post! And it all goes swimmingly along … until one day … you can’t. You get unexpectedly sick. Or your computer does. Or the server has an issue and you’re locked out. Something weird happens — you cannot get to your site. You have an epiphany: when there’s nothing left to do … relax. When you are back, presumably your followers will be there. No matter how carefully you plan and schedule, sometimes, it doesn’t work out. I just had it happen. I had pieces scheduled to run, written — insurance against what I presumed was my worst-case scenario. It turned out to be worse than my worst-case. There was nothing I could do except unplug, relax and wait. It got fixed. The world didn’t end. That’s the MOST important thing to know. The world will NOT end, even if you don’t get it done. No one will die because your post didn’t get published. Even if your stats take a temporary dive, if you’ve got the audience and followers, it’ll come back up when you are able to start posting again. Been there. Survived. Do NOT forget to breathe. Very true. And if you don’t have an audience or followers (or you lose them all), then you’ll just start writing again, and you’ll build them anew. Even if your blog is your life, it’s not life and death. Thank you. I jumped with both feet into the blogging world and, now that I am in the rhythm of the blogsphere and understand the lingo, I feel I can take a step back and learn new ways to manage our blog. This looks like really good advice. I’m new to blogging and it’s fun, I want it to continue to be fun. I really want to thank you for the daily prompts and the weekly phot challenges as it has really help me get up and running. Thanks Daily Post. I really Needed this advice. Be careful with your drafts! Last time I posted, it showed up on line as being published three days BEFORE the actual date I hit the Publish button. Support said it used the date I started DRAFTING the post Instead of the Publish date. Still not sure why, it never happened before…. To be 100% safe, I change the date of any post I’m working on to the year 2020. That way, even if I accidentally hit “publish” or something goes a bit wonky, the post merely gets scheduled for the future and doesn’t actually appear on the site. Oh such a good idea! Thanks for the tip! To be safe? On WordPress? We have to do things to be safe? Hey, if I write it today and post it a month later, so what? The date should be when I POST it. Is that not it? I do it to be safe from myself — I’ve been known to hit “publish” rather than “save draft” when a post isn’t ready to go yet, so this way, I don’t have to worry about my own slip-ups. Then, when the post is done, I change the date to the present and publish. Hey look, it’s me! Glad my Twitter comments were helpful. I needed this advice today (“One: cut yourself some slack”) as I don’t have anything ready for my Monday post. Maybe I’ll get to it between soccer games, family time, and swim meets this weekend, but it’s unlikely. Thanks for letting me off the hook in case I don’t post til Tuesday. No problem — thank you! Great Tips, I am kinda new, and I have a really busy life. I actually use these methods without realizing it. Great Validation for a newbie BTW Great Pic, Sorry About The Barn! Blogging should be scheduled and consistent. But i don’t think posts should be forced either. Having specified time to blog is always good. I’m still new at blogging and I have all these ideas bouncing round in my head. But already, I barely have time to sit and write them down. Or time to get a hang of linking posts to my widgets (I’m still stuck on that 😦 ). These tips are great. Thanks! Thank you for a great post! There is good common sense stuff here and reaffirms what I’ve been doing. I really like that I, too, keep a few dozen drafts of possible posts on my iPad notebook, many written before I jump out of bed in the morning. You just said what many people only dare to think. Good read and great suggestions!thank you! 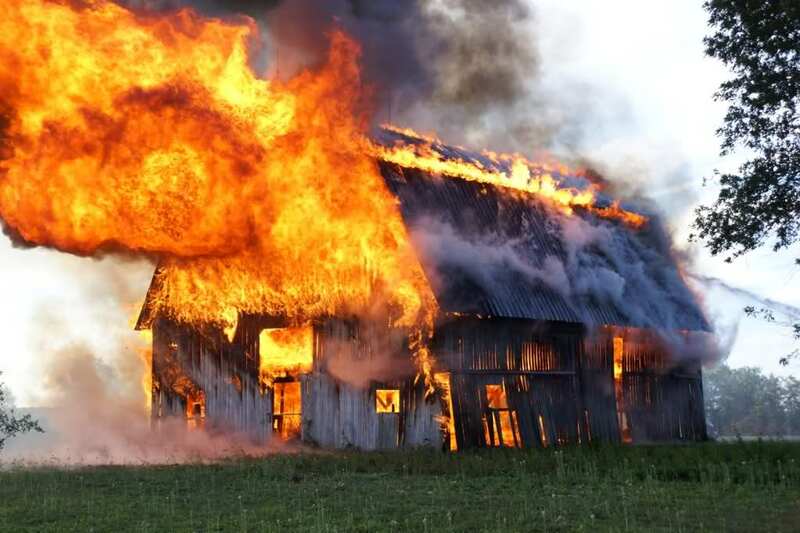 great post, was so afraid the burning barn was yours… loved the caption though. Well that was just the prompt I needed to get blogging again after several weeks. Rainbow pictures might make up for the gap? The internet always enjoys a rainbow picture! (Even more so with your commentary 🙂 ). Thank you – I’m glad to be back again. I even went out and did a run again today, so it’s all good. These are some great tips. Thanks for this! thank you for the tips. I am just starting blogging and I need all the help i can get. I’ve been feeling this way a lot. Exhausted and irritated with my inability to post and then like an angry, bitter child, I toss my blog to the side and glare at it until I forget it exists sometimes. Good to feel I’m not alone and I’ll be taking your advice. Really, really needed this post today. Lately, blogging has felt more like a chore than a joy for me, so it’s great to be reminded that the world will not implode if I post less frequently or spend more time on posts that mean something to me but maybe won’t be that interesting to other people. Blogs only remain healthy when they supplement our lives, not dominate them.